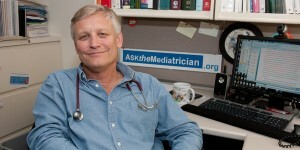 Posted March 20, 2012 under Ask the Mediatrician. With video games, how can I help my kids know when enough is enough? Posted March 15, 2012 under Ask the Mediatrician. Posted March 9, 2012 under Ask the Mediatrician. Is age 7 too early to learn keyboarding? Posted March 7, 2012 under Ask the Mediatrician.